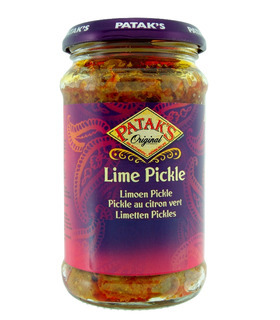 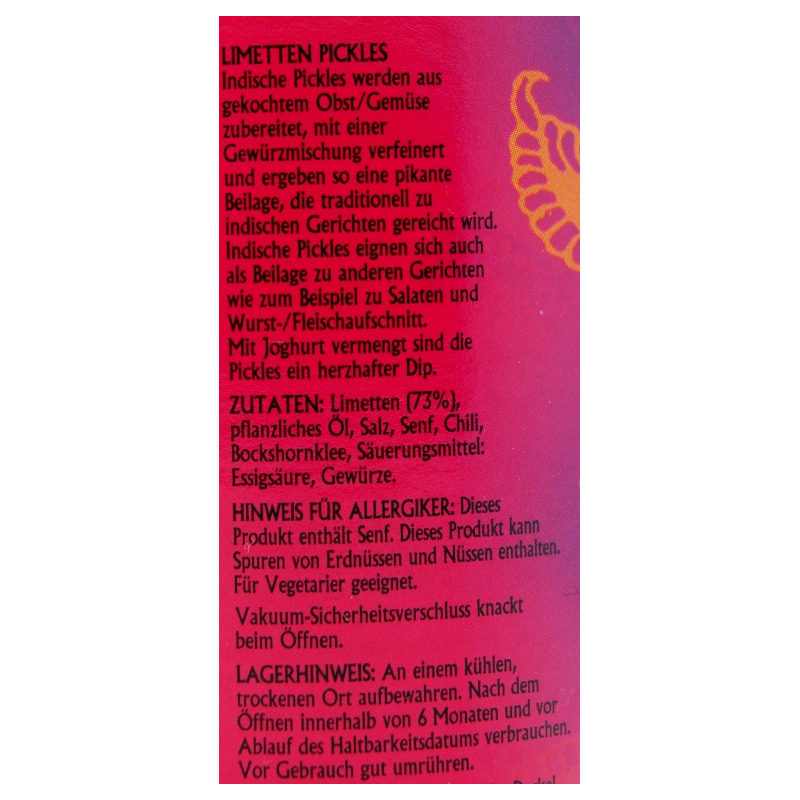 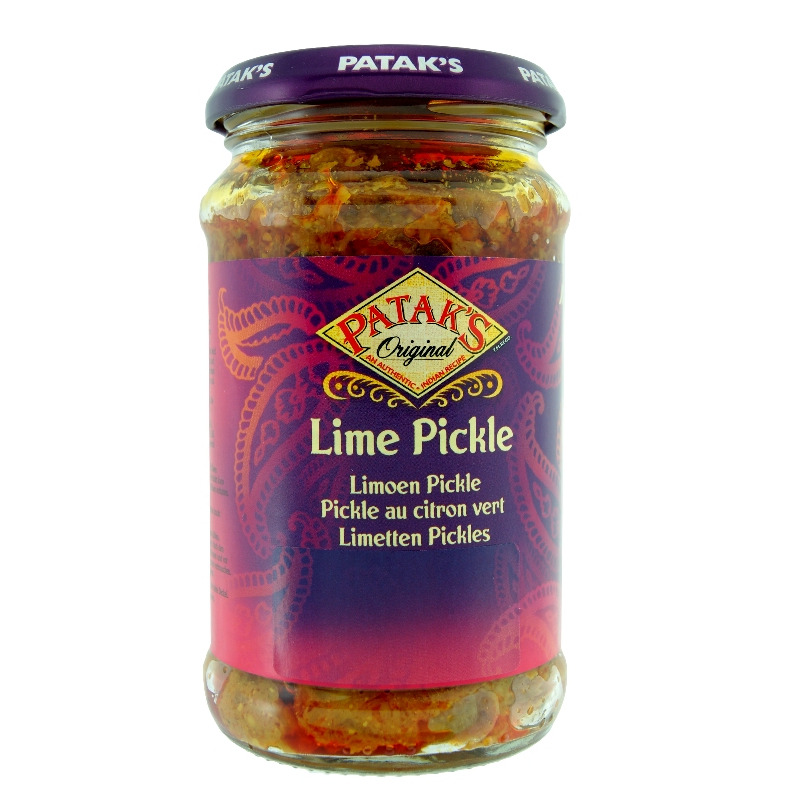 Patak’s Lime Pickle is a juicy combination of limes with aromatic spices. 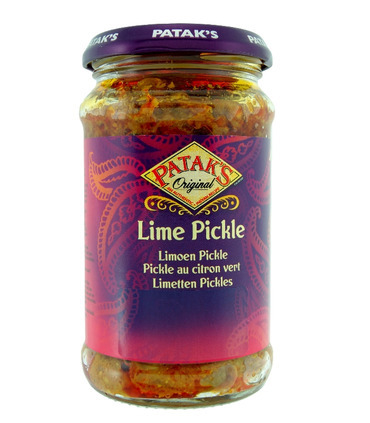 It tastes homemade and is delicious on a sandwich, with parathas and puris or cold meats. 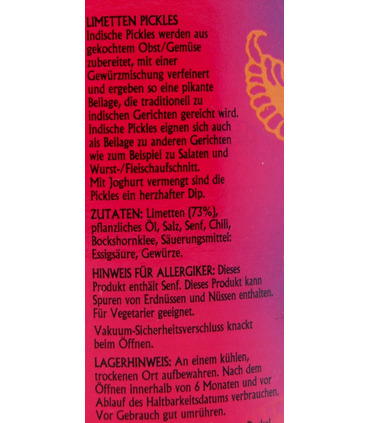 Patak’ Lime pickle is medium spicy.